My fieldwork in Tajikistan begins! I first encountered Capoeira back in winter of 2007, as a freshman at college. Professor Luciano led about 20 of us on a tremendously educational trip to Salvador de Bahia in North East Brazil, where we got to immerse ourselves in Bahian culture, food, beats, and even experience Candomblé and Capoeira. Candomblé deserves an entire post on itself, as a fascinating religion practised by the “povo de santo” (people of the saint) most common among people of African descent. We had the chance to witness a full Candomblé ceremony, which was a fascinating experience. 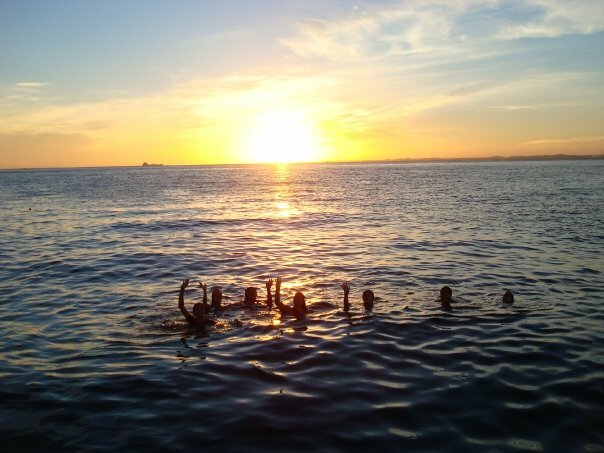 Bahia was unforgettable, and Capoeira was definitely the highlight. As procrastination will have it, I only became serious about Capoeira a whole seven years later after I moved to Austin. I got to meet contra-maestre Esquilo serendipitously while standing in line at SXSW, and some time later I found myself part of the Capoeira Luanda community. Capoeira is beautiful; the history, the sounds, and the art of this ancient dance-fight preserved by generations of Capoeiristas. Many argue about it’s true origins, but in an oversimplified nutshell, think about it as the African slaves masking self-defense into a dance to avoid the suspicion of their Portuguese slavemasters. Along with this comes heritage, beats, song-style (call and response) from the African continent. You can take the people out of Africa, but you can never take Africa out of their soul. 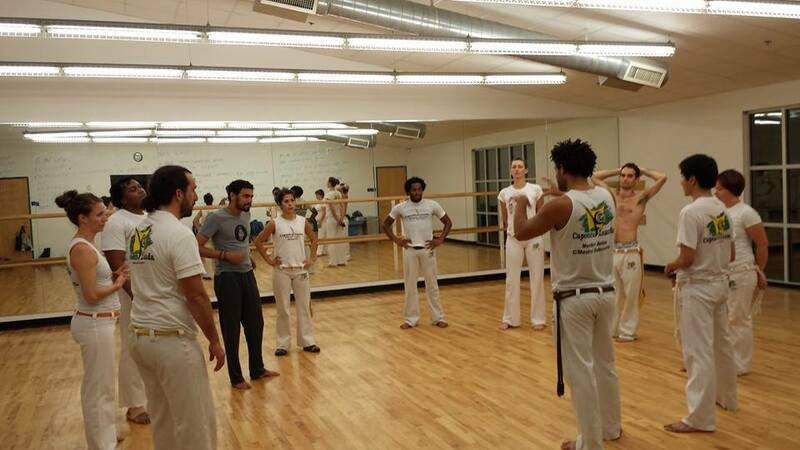 Capoeira Luanda Austin! Come check us out. 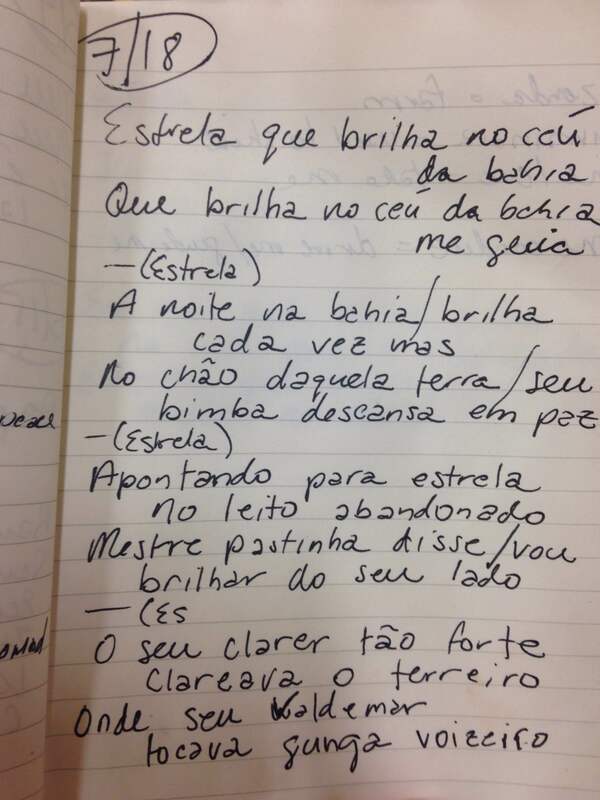 In class today we learnt a new song “Estrela que brilha no céu da Bahia”, which translates to the star that shines in the sky of Bahia. 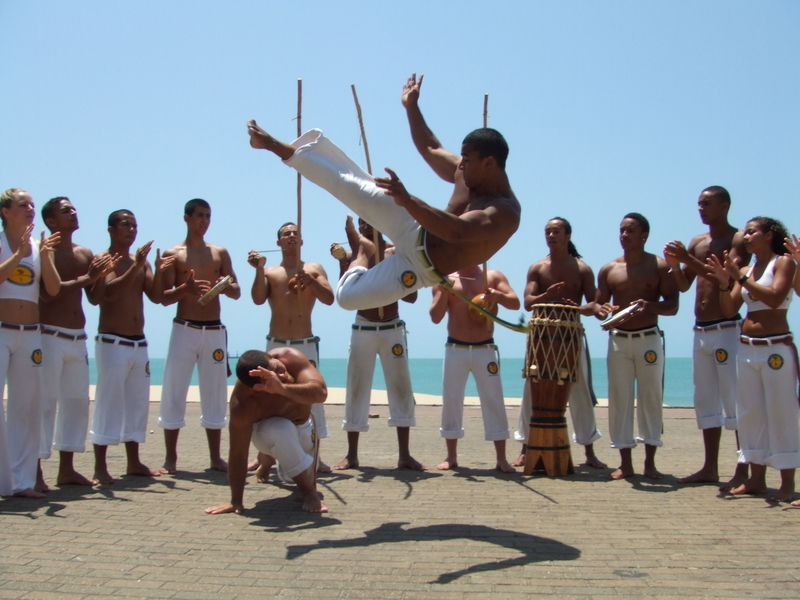 To provide a little more context, many people trace Capoeira back to Salvador de Bahia, the first port of call for African slaves who arrive in Portuguese Brazil to serve their senhors (masters). Today, if you get the chance to visit Bahia, you will notice a lot more dark-skinned Afro-Brazilians than, well, white Brazilians. This song though, was so beautiful. In just four stanzas (two lines each) and a chorus, it captures the essence of Capoeira in a single tune. Many Capoeira songs were written by the Capoeiristas who lived during the early days, and they tell stories of Capoeira Masters, the context of slavery, the beautiful beaches (and women) of Bahia and the soul of Brazil. In Estrela que brilha no céu da Bahia, each stanza recounts certain pieces of Capoeira history, paying respect to Maestre Bimba, describing Maestre Pastinha pointing to the stars on his deathbed saying “I will always be by your side like the shining stars in the Bahia sky”, and the most beautiful of all, depicting how the night stars that used to illuminate the farms (where the slaves worked on), will continue to shine and show the path back home to Bahia for all future generations of Capoeiristas. The history that is encapsulated in Capoeira songs will continue to cradle the dance-fight, and with each new roda played in every part of the world, the art is given a new lease of life. ← Previous Post I get fascinated by technology, again. Next Post → Austin? Boulder? Portland?